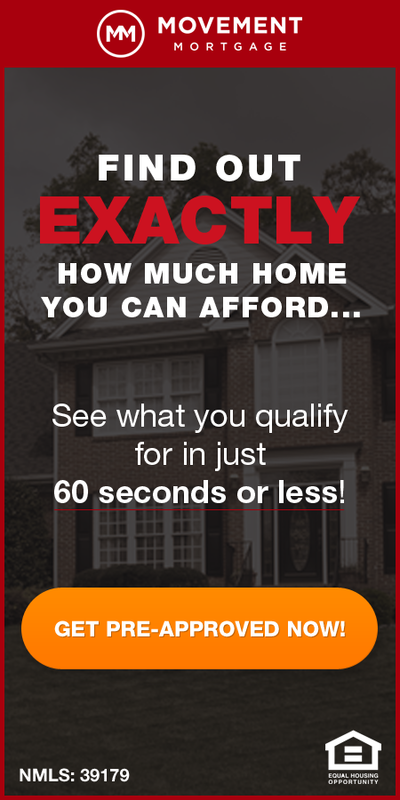 « Where In St Louis Are Homes Selling The Quickest? 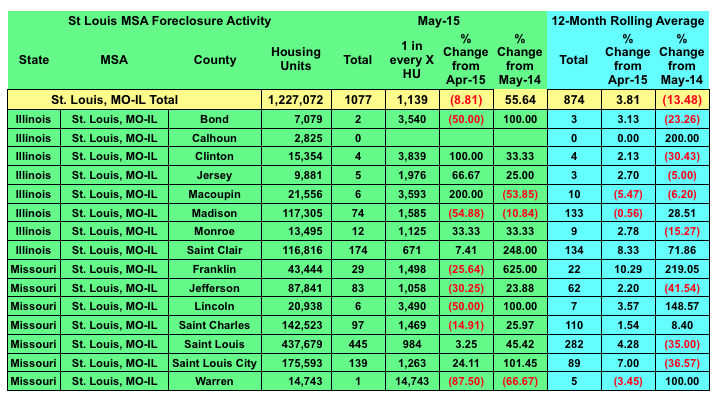 St Louis foreclosure activity in May 2015 continued the downward trend with a drop of almost 9 percent from the month before for the St Louis MSA as a whole, according to data just released this morning by RealtyTrac. As the table below shows, foreclosure activity in May was up over 55% from May 2014, however, when we look at the 12 month rolling average, which gives a better indication of the trend (blue area in table) we see that for the 12 month period ended in May foreclosure activity is down over 13% from the same time a year ago. Franklin county, on the other hand, saw a big jump in foreclosure activity during May with action on 29 properties during the month, a decline from the month before, but a whopping 625% increase from a year ago. 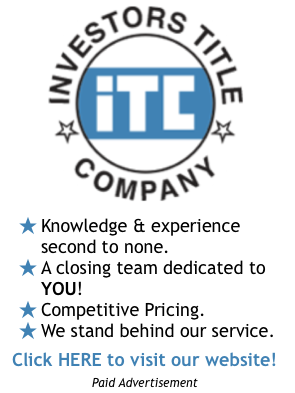 The twelve month rolling average for Franklin County shows May 2015 was up 219% from May 2014. In spite of this huge increase in foreclosure activity, Franklin County still has one of the lower foreclosure rates in the St Louis, MO area, in terms of number of foreclosures per total housing units, with just 1 foreclosure action for every 1,498 housing units.